1) What is data-base testing? Data base testing is segmented into four different categories. 2) In database testing, what do we need to check normally? 3) Explain what is data driven test? In a data-table, to test the multi numbers of data, data-driven test is used. By using this it can easily replace the parameters at the same time from different locations. 4) What are joins and mention different types of joins? 5) What are indexes and mention different types of indexes? 6) While testing stored procedures what are the steps does a tester takes? The tester will check the standard format of the stored procedures and also it checks the fields are correct like updates, joins, indexes, deletions as mentioned in the stored procedure. 7) How would you know for database testing, whether trigger is fired or not? On querying the common audit log you would know, whether, a trigger is fired or not. It is in audit log where you can see the triggers fired. 8) In data base testing, what are the steps to test data loading? After updating data in the source, check whether the changes appears in the target or not. 9) Without using Database Checkpoints, how you test a SQL Query in QTP? By writing scripting procedure in VBScript, we can connect to database and can test the queries and database. 10) Explain how to use SQL queries in QTP ? In QTP using output database check point and database check, you have to select the SQL manual queries option. After selecting the manual queries option, enter the “select” queries to fetch the data in the database and then compare the expected and actual. 11) What is the way of writing testcases for database testing? 12) To manage and manipulate the test table what are the SQL statements that you have used in Database testing? The statements like SELECT, INSERT, UPDATE, DELETE are used to manipulate the table, while ALTER TABLE, CREATE TABLE and DELETE TABLE are used to manage table. 13) How to test database procedures and triggers? To test database procedures and triggers, input and output parameters must be known. EXEC statement can be used to run the procedure and examine the behaviour of the tables. Project that has to be configured will be done by clicking on the Project Configuration dialog box. 14) How you can write testcases from requirements and do the requirements represents exact functionality of AUT (Application Under Test)? To write a testcases from requirements, you need to analyse the requirements thoroughly in terms of functionality. Thereafter you think about the appropriate testcases design techniques like Equivalence partitioning, Black box design, Cause effect graphing etc. for writing the testcases. Yes, the requirements represent exact functionality of AUT. DML stands for Data Manipulation Language, It is used to manage data with schema objects. It is a subset of SQL. 17) What are DCL commands? What are the two types of commands used by DCL? DCL stands for Data Control Language, it is used to control data. 18) What is white box testing and black box testing? Black box testing means testing the software for the outputs on giving particular inputs. This testing is usually performed to see if the software meets the user’s requirements. There is no specific functional output expected for running this test. The white box testing is done to check the accuracy of code and logic of the program. This testing is done by the programmer who knows the logical flow of the system. 19) How does QTP evaluate test results? Once the testing is done, QTP will generate a report. This report will show the checkpoints, system message and error that were detected while testing. The test results window will show any mismatches encountered at the checkpoints. 20) Explain the QTP testing process? Run tests: Testcases should be run. 21) What is load testing and give some examples of it? To measure the system response, load testing is done. If the load exceeds the users pattern it is known as stress testing. Examples of load testing are downloading the set of large files, executing multiple applications on a single computer, subjecting a server to large number of e-mails and allotting many tasks to a printer one after another. 22) How to test database manually? 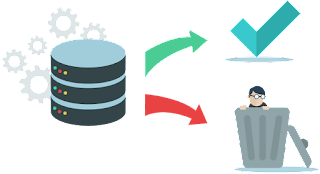 Testing the database manually involves checking the data at the back end and to see whether the addition of data in front end is affecting the back end or not, and same for delete, update, insert etc. 23) What RDBMS stands for and what are the important RDMBS that SQL use? RDBMS stands for Relational Database Management Systems that use SQL, and the important RDBMS that SQL uses are Sybase, Oracle, Access ,Ingres, Microsoft SQL server etc. 24) What is performance testing and what are the bottlenecks of performance testing? Performance testing determines the speed of the computer system performance. It includes the quantitative tests like response time measurement. The problem in performance testing is that you always need a well-trained and experienced man power also the tools you use are expensive. 25) What is DDL and what are their commands? To define database structure, DDL is used. DDL stands for Data Definition Language. The various DDL commands include Create, Truncate, Drop, Alter, Comment and Rename. 0 on: "Latest DB testing Interview Questions With Answers."